I noticed that if you look up ballet stores in Tokyo, nothing will really come up. However if you search it in Japanese all these different stores come out. So I decided to make a guide for English speaking dancers. Here is a list of the ballet shops that I have visited here in Tokyo, in no particular order. There are a lot more stores that you could probably visit but I chose those stores that are in the main areas of Tokyo, I did not want to go so far out of the city. They also have some in malls but I wanted to post the ones with a complete selection of things so you would not need to go far to buy your complete set of ballet things. This is one of the most known ballet stores in Tokyo. It is probably the biggest I’ve seen with the widest selection of ballet shoes and ballet wear. 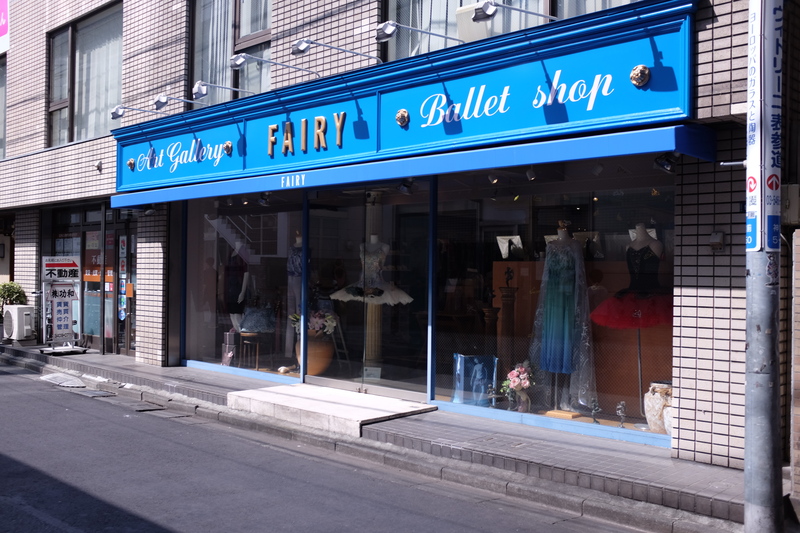 I blogged about it a few weeks ago in case you`d like to check it out, My favorite ballet store in Tokyo Chacott Shibuya. They have a complete set of ballet CDs and DVDs too also books, yoga wear, tap shoes, ballet shoes, pointe shoes, make up, warm up, kids wear and everything you need for ballet. How to get there: Go straight out to the Shibuya crossing towards the big street to the right of Starbucks. Walk straight up and you will cross two stoplights. After the second stoplight turn left to an uphill road, you will see the disney store to your left and across that you will pass an Apple and Onitsuka store afterwards you will see a big Chacott sign in green. I`m only familiar with the Omotesando store. They have a good selection of books and DVD`s here, also if you are looking for Wear Moi Leotards this is where you will find a lot of cheap Wear Moi leos. They also have a lot of different local brands that you may enjoy. Its small but it has everything basic you need in a ballet shop. How to get there: Come out of the B2 exit of the Omotesando station if I am not mistaken, you will be walking towards the direction of Shibuya. After coming out of the exit just walk straight until you see the Dc. Martens store and the Muji store, Turn right and you will see this giant blue store which you won’t miss. All the beautiful yumikos you want. Pre order takes 8 weeks. I know that there is one in Etoile dance studio as well, however it is too far for me to go to. I had been dying to have my own Yumikos since a year ago, so imagine my face when I saw the boutique right at the studio where I was dancing. 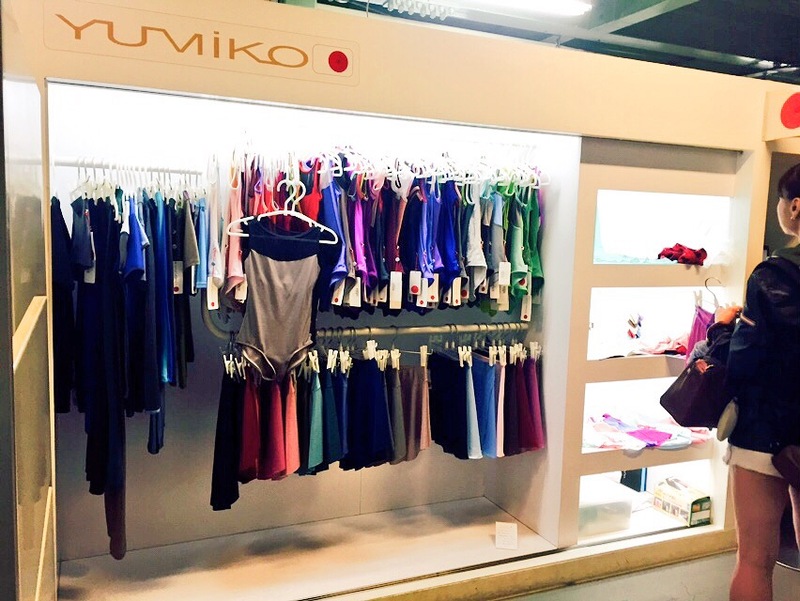 They only sell the Yumiko leotards and some warm up wear, so if you are looking for a full set of things then I suggest you head to one of the two stores above. How to get there: I usually ride the JR to Tamachi station because I find this to be the easiest way, Exit towards the dome shaped bridge in the station and go down the escalator. Walk straight out and on the first stoplight turn left just go straight until you see Port Bowl. Heres a link to one of my blog entries about their studio, Gaijin friendly ballet classes in Tokyo. Your two floor repetto store. Although I have been to Repetto stores in Manila, this store was similar but not quite. They had a larger selection of leotards in different colors and styles. Also try their walking shoes, I would`t buy them as they are so expensive but I just love Repetto stores. They have complete, tights, warm up wear, leotards, ballet shoes and Repetto pointe shoes. Of course being a Repetto boutique they only sell Repetto products. They do not sell ballet CD`s and or DVD`s here. 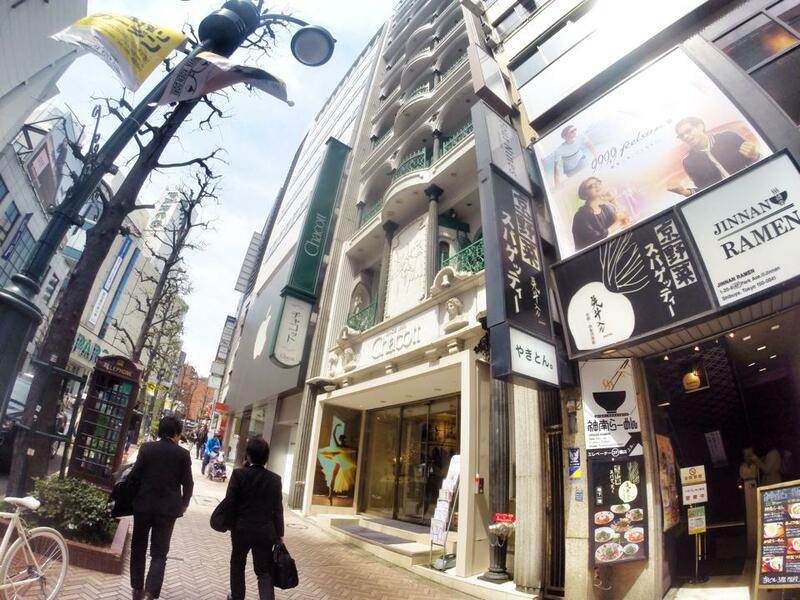 How to get there: I got out of Yurakcho station and headed towards Printemps Ginza. I usually take the exit right in front of the 1010 plaza. That way you just need to walk straight to the street between Printemps and Tokyu Hands. Then turn left on the street right across Cartier. You will not miss those black and gold signs. If you get lost, just ask where Cartier is. heres a picture and a map if it helps. The station to get off at is Shinjuku, from there I hope you can find it. I know that there are a lot more stores around Tokyo but these would be the ones that I have actually been to. I would also recommend that you try ordering online. I have found that online stores are a lot cheaper than buying from these stores. However, for convenience you could visit these stores. Also if you go to most of them, you can listen to and or watch their CD`s and DVD`s. So you have more of an idea of what to get and buy. You can also test most of their products, Chacott Shibuya for me would be the most complete of all the stores. How to get there: It was a little more difficult to find, heres the best suggestion I can give to find this shop. 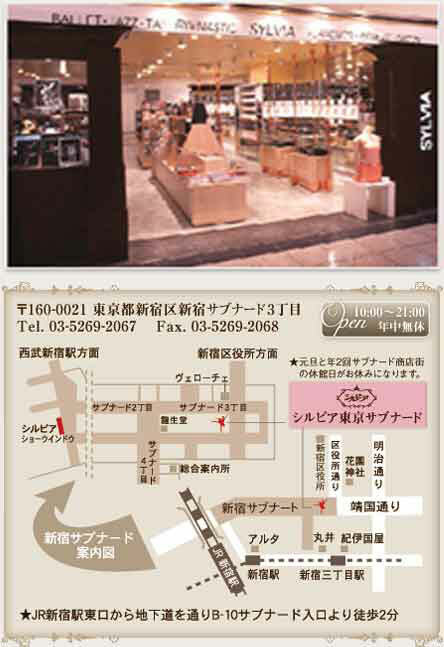 The shop is located at the SUBNADE mall, which is located at the SUBWAY LEVEL of Shibuya. So if you’re looking around the streets you will not find it. If you know the GODZILLA road where the giant godzilla statue is, you will find a DON QUIXOTE store at the corner of the main road where you will see an underground passage to SUBNADE. The store is located at the far end to the left of SUBNADE. Once underground you could probably ask where the SYLVIA shop is or look for a map to search it. Good luck and enjoy! Facebook site: Sylvia Ballet and here is their online shop: Sylvia. Happy dancing! and as my teacher would say… Much love! Thanks for the interesting post! I accompany ballet companies in the UK and record CDs of music for class. I want to sell my CDs in Japan, so I will try contacting some of these stores. Would an email in English get me any response, or is it not widely spoken enough? Hi, your maps do not really help with locating Sylvia. I took about one hour trying to find the place even though I used google to type the address on their website. Your map is also different from what is provided on Google. Actually, it would be useful to add that Sylvia is at the subway level. But kudos for providing a conprehensive list of ballet shops in Japan. Thank you Mindy, I’ll mention that its in the Subway level of the SUBNADE mall area. Thank you for the tip. Thank you for the tip again, I have edited in a new instruction manual, as I never updated this on my blog. Hi Lena! Stumbled across your blog when I was googling where to buy Chacott ballet flats in Sydney! Thank you for listing some of the ballet stores in Tokyo! I was there in October last year and I absolutely loved the Chacott store in Shibuya – also not sure if you know that there was a Yumiko boutique down the street from the Chacott store. It’s easy to miss as it’s upstairs in a building. Though have a one question – do the sales assistants in the Chacott store speak english? I’m wanting to go back and hopefully buy some items next time I’m there. Thanks again for the awesome blog! Oh thank you! Let me list that down when i go home to Japan again this year. Right now they are getting better in English however not all of them can really understand fully in detail, If you let me know what you want to tell them, I could help you. Just send me an email thanks!! Really happy that you liked my entry thanks! Hi Lena, I would like to buy demi-pointe shoes in Tokyo, but it seems that the shops you recommended sell only pointe shoes. Where can I get demi-pointe shoes around Tokyo? Did you mean ballet flats? Chacott in Shibuya sells ballet flats in the third floor. Oh i see! No we do not sell those in Japan, we just tear apart our old pointe shoes and remove the shank. I never even knew that they sold those kinds of shoes, usually we just do that ourselves and remove the insides of our pointe shoes.